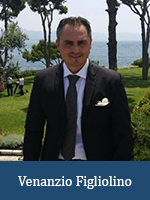 Venanzio Figliolino is a member of the research team at OES participating on the ‘first global assessment on the current state of organizational excellence’ that was launched by the OETC and has been supported by the GBN, ISO/TC 176 and International Academy for Quality. He is a management engineer with over 15 years of experience in multinational companies, employed in different roles but with common goals: continuous improvement, process standardization and optimization. Venanzio is engaged in training and consulting about Lean and Six Sigma methodologies and enjoys helping organizations to improve their performances particularly in the time, cost, defect and space areas. He founded a Lean Six Sigma University & Community, two synergistic projects that were developed for creating a common place where professionals could learn and share knowledge about various applications and the cultural change associated with such.